Priced from about $400 to just under $500, the new 2go PC by CTL comes with Windows or Linux. The notebook has a full keyboard, 9? 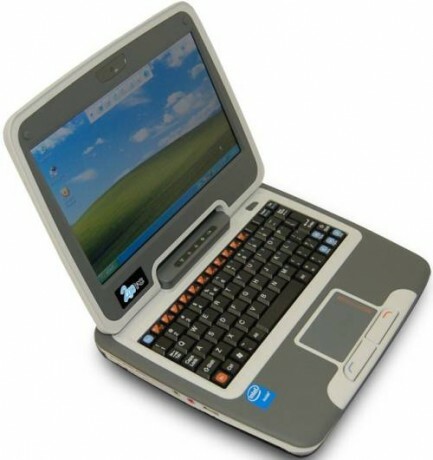 LCD screen (800 x 480 resolution), 40GB hard drive, up to 1GB of memory, integrated camera and Wi-Fi. The 2go PC is based on the Intel Celeron M processor and the Intel 915GMS chipset. The notebook features a sturdy plastic case, two integrated speakers, two USB ports, RJ-45 10/100 LAN ports and 4-cell Lithium Ion batteries with three to four-hour typical usage time. It is MicrosoftWindows XP-available and will run Linux as well. The computer also features a built-in webcam and memory card reader.